There is a critical mass of things that are needed to make 4 walls feel like a home. We’ve been having a mad dash to get rid of things and it was within the last two weeks we hit that tipping point. It happens quietly when you’re not looking. But at some point as you spin around in the middle of your apartment you realize it feels colder and less inviting – everything is unfamiliar again just like when you first moved in. 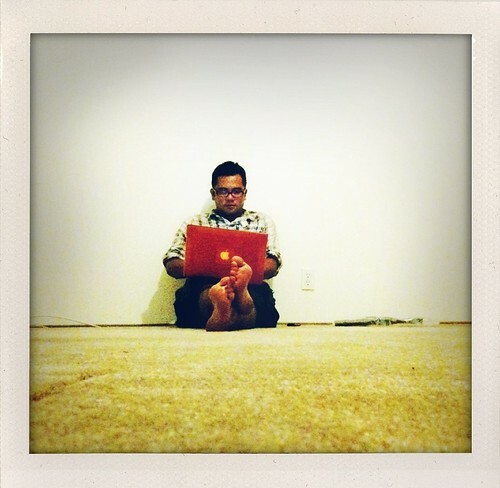 I’m writing in what use to be my office/darkroom/studio and now it’s just a room. The desk is gone, the enlarger is gone, the shelves, cameras, boxes of prints and negatives. Any evidence that I worked here for five years, except perhaps a few marks on the wall, have all been neatly boxed and stored. It’s just four white walls nows. It’s not our home anymore. Home is the road. Home is each other. That’s one of the things I love about traveling by bike – the feeling that you, out there are on the road, wherever you might be, are at home. There’s something really nice about that. It’s inspiring to read through these posts and feel grateful that more and more younger folks are choosing their own unique lives. I’m (only) 47, but the love of my life passed away last year and hence a similar path of examining every memory and object, trying to decide what to keep, what to recycle, what to discard. A forensic dissection of one’s life I suppose. I also wanted to share that ‘tipping point’ of objects required for a house to be a home is very much a sliding scale. In my case, when I arrived back home from the hospital for the first time without my wife, the first thing that hit me despite all the same belongings, was that the home was now just a house. The cliche’s exist for a reason, sure it’s wise to plan for old age, but live in the moment.